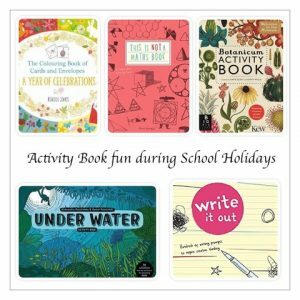 The summer holidays are very nearly here and we’ve been looking at Activity Books to keep children busy over the summer. While I would definitely advocate a break from formal learning during a school holiday I do like the fact that many of the activities in these books introduce children to new ideas and concepts that they may not have come across as well as stimulate discussion. 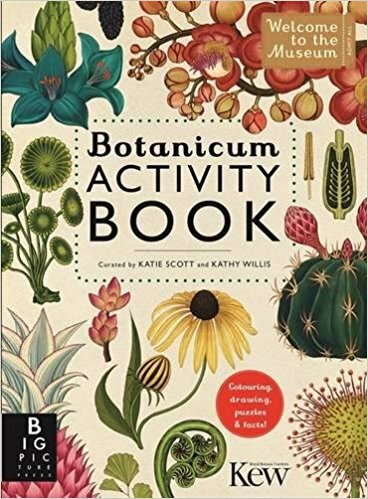 Botanicum Activity Book by Kate Scott and Kathy Willis: This activity book is inspired by Botanicum and is published in association with The Royal Botanic Gardens in Kew. Published on sturdy paper it’s a fantastic activity book for nature lovers and introduces children to many varieties of plant life. Activities include colouring in pages, spot the difference, matching and finish the drawings. Favourite activities here were matching plants to the world regions that they are found, matching carnivorous plants to their prey, learning how to draw a pineapple and drawing the life cycle of a dandelion. 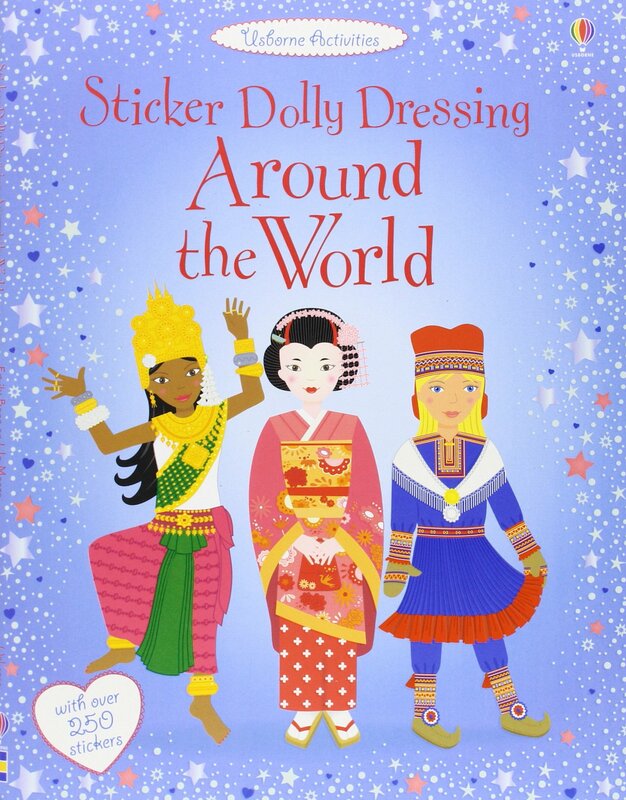 The back of each page gives extra facts so that children can learn more in an informal way. This activity book makes learning about plants fun! 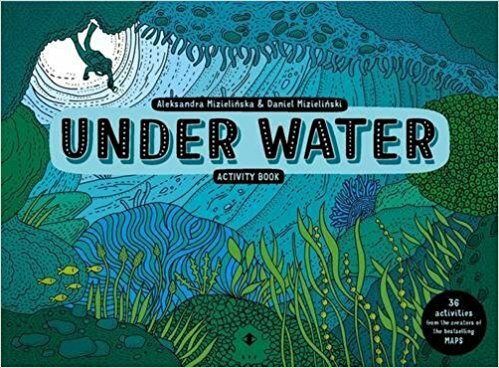 Under Water and Under Earth Activity Books by Aleksandra Mizielinska and Daniel Mizielinski: Under Water and Under Earth are inspired by Under Water, Under Earth and inspire children to think about what happens under the ground and in our seas and rivers as well as who lives in them. The books contain 36 drawing activities on sturdy A4 pages which can be torn out and the back of each page also has an underwater or underground creature to colour. In Under Water my daughter had fun learning The Diver’s Language, cleaning up the lake and finding the shortest route through the wreck of The Titanic. In Under Earth she enjoyed choosing and colouring in items to take with her on a Cave Expedition and Draw the Burrowing Animals led her to think about the myriad of creatures that live underground. Both books made us think more about the natural world and are great for helping children to improve their drawing skills. 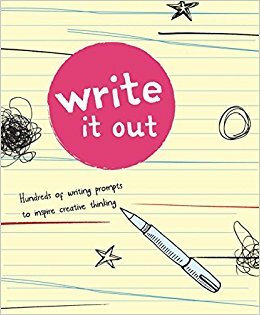 Write It Out by Brandon T. Snider: This is a great book to inspire budding authors and includes ‘Hundreds of Writing Prompts to Inspire Creative Thinking’. 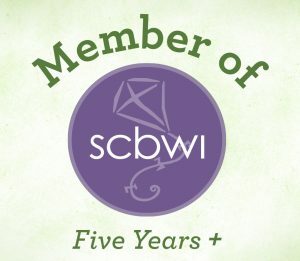 There are serious prompts (What are three kind things you’ve done this week?) to imaginative prompts (Write a story about a haunted blanket). 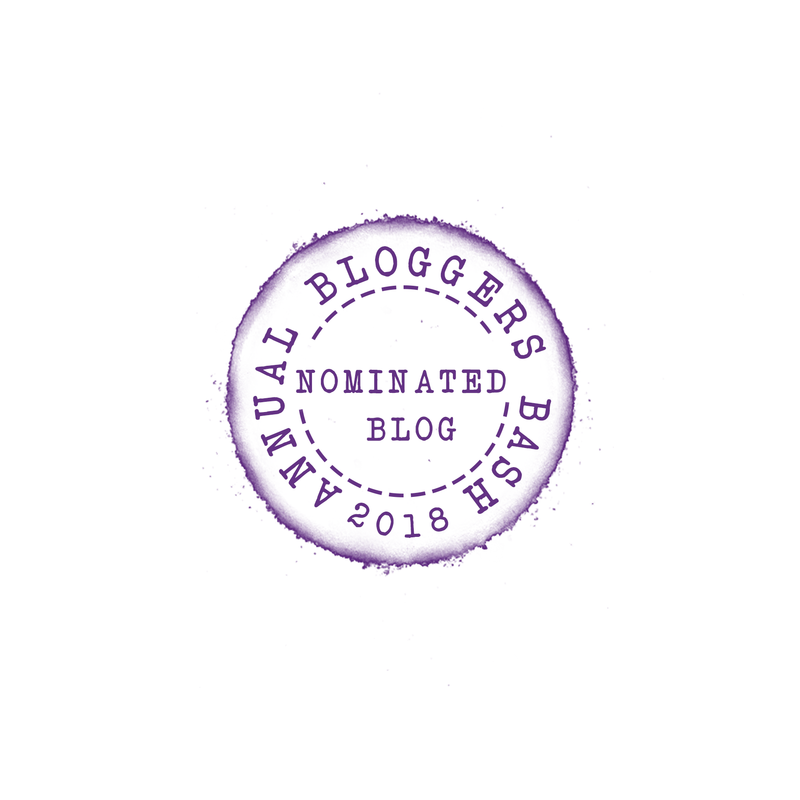 There’s a prompt to suit every child (and adult! ), some ask for three examples of something (What were your top three childhood toys? ), others ask about emotions and feelings in certain situations (Describe the feeling that you get when someone hugs you). We especially like the story writing prompts but this is also a great book for a child to record feelings and memories that they can look back on for years to come. It’s a great keepsake! 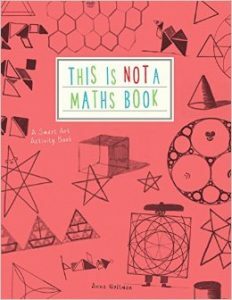 THIS IS NOT A MATHS BOOK by Anna Weltman: Maths and art are combined in this activity book which is full of drawing challenges that have a mathematical basis. The activities are mainly based on shapes and patterns but also gave my daughter her first taste of drawing with a compass. We very much enjoyed the tessellation activities, drawing stars and learning how to draw 3D objects. A glossary at the back of the book explained mathematical terms and there is extra paper at the back of the book for creating your own mathematical patterns. I love the way that the book blurs the lines between maths and art and explores the relationship between the two. 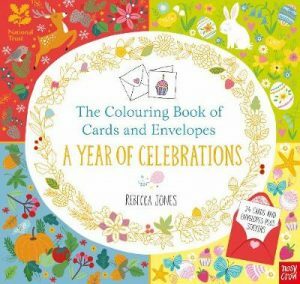 A Year of Celebrations by Rebecca Jones: We love the Christmas card colouring book and have also enjoyed colouring cards for a wide range of occasions. 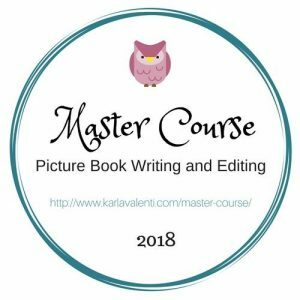 The book includes thank you cards, get well cards, new baby and congratulations cards as well as cards for Easter, birthdays, Christmas and other occasions. Each card comes with a corresponding envelope with a sticker to seal it. We either colour the cards to send straightaway or we keep them in our card box until an occasion arises. This is a lovely book for adults as well as children, we like to sit and colour cards together. 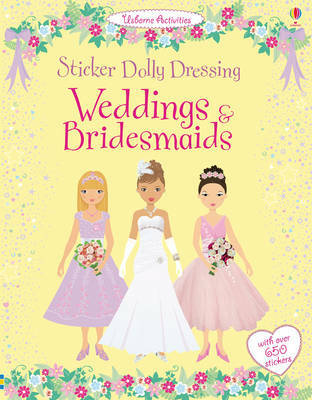 Sticker Dolly Dressing: For younger children our favourite activity books are still the Sticker Dolly Dressing books. They kept my daughter occupied on many plane and train journeys and we still have all of them on our bookshelves! The picture below show some of my daughter’s favourites and now she’s older she still likes the historical sticker books, she’s particularly enjoyed Shakespeare and Kings and Queens. 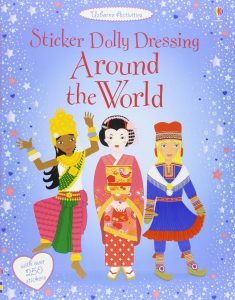 Do you have any favourite activity books that you would recommend for a child of any age? We’d love to hear your suggestions in the comments. Thank you to Nosy Crow for sending A Year of Celebrations. 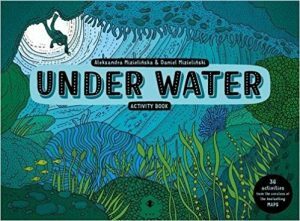 Thank you to Big Picture Press for sending Botanicum Activity Book, Under Water and Under Earth. Thank you to GMC Distribution for sending Write it Out. ← Happy Birthday Shirley Hughes! I love the Write It Out book too. There are some great prompts to get you writing whether you want to write stories or something more informative. 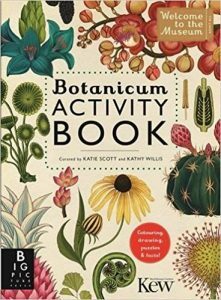 There are great activity books for all interests and many of the activities appeal to me as an adult too! 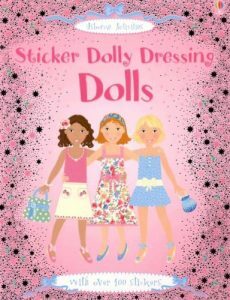 My daughter used to love the Sticker Dressing Doll books. I like the idea of a cunningly disguised maths book! 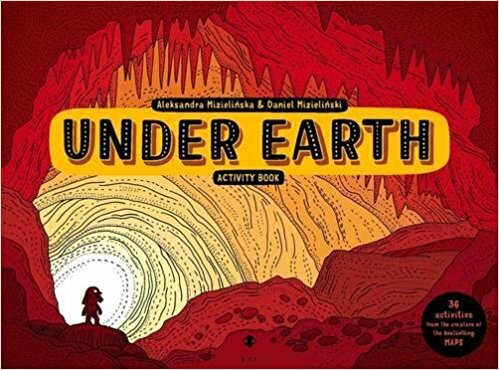 Books like these are a great way to keep kids away from the TV and learning quietly without being in school and doing homework. There is a fantastic choice of activity books for children these days. This is only the tiniest tip of the iceberg! My eldest loves sticker books. She’s too young for the others but they look great for future years. Sticker books kept my daughter busy on several plane journeys! There’s such a wide range of activity books to choose from now, so many more than when I was a child! I love them all, I wish I was a kid again!! I may just have to get some for my kids. 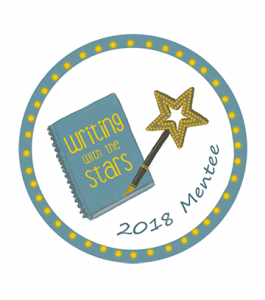 I’m not sure about ‘Write it Out’ I could do with a book like that myself, but my girls have amazing imaginations and are always writing their own stories and even comics, we have books and books of them! I like ‘This is Not a Maths Book.’ I always the best way to learn things is when you don’t really believe that you are learning. I try to remember some of the math puzzles I learnt as a child and share them with my kids, it would be nice to learn some more. Great list of activity books, if I could I’d buy them all. I find it funny that my daughter is now trying to write her own activity book! They’re all really great, we had fun with the Write It Out book today. Activity books are brilliant. Children learn without realising and they are great fun. The Maths one is fun. It was never my favourite subject at school so I could have done with a book that made Maths more exciting for me! The Under Water Activity book is fantastic and I love the illustrations in the book.